Last week at CES, satellite Internet of Things (IoT) company Astrocast made the rounds, conducting press briefings participating in the CES Unveiled press event, and exhibiting at the IoT section tucked away at the Westgate. Company officials said they intent to put at least 20 satellites in to orbit in 2020, with a distribution of 5 satellites per orbital plane. CEO Fabien Jordan said Astrocast plans to have two launches by the end of 2019, with 5 satellites put into a plane per launch in the fourth quarter of this year. Another 10 satellites will go into orbit on an ArianeSpace Vega launch arranged by and using a D-Orbit payload dispenser in 2020. Initially, Astrocast planned to have ten satellites per orbital plane, 8 operational plus 2 spares, with a total of 8 orbital planes. The shift means Astrocast can deploy and offer satellite data services more rapidly to customers with fewer satellites, then fill in the constellation with more satellites over time and as investments and revenues permit. 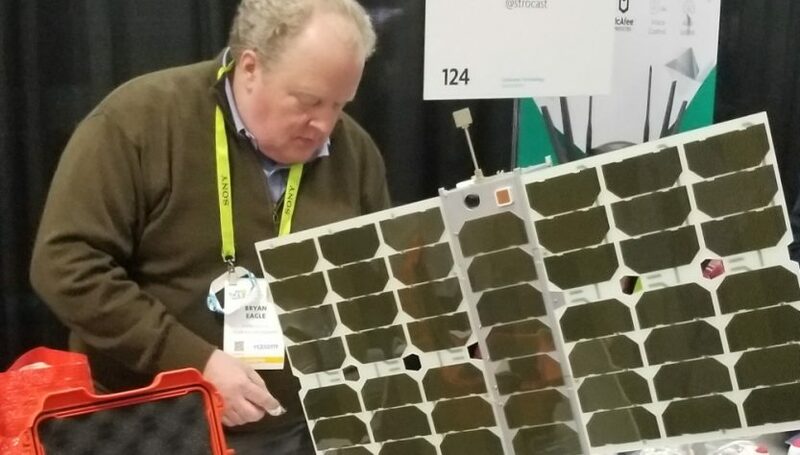 The company was at CES to meet with potential partners interested in integrating Astrocast’s low-power silicon into their solutions. Astrocast is targeting low-power, low data applications, with a typical pickup of a kilobyte or less. Low-power, low volume data IoT services are being targeted by a number of startup companies. Hiber Global and Swarm Technologies are among the firms pushing to drive low volume IoT data costs to $3 to $6 dollars per device per month.